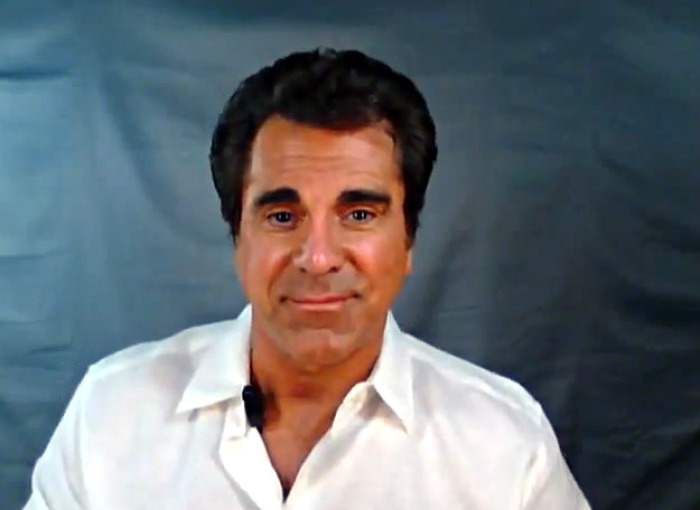 Popular Christian entertainer Carman Licciardello, mononymously known as Carman, took to social media to finally open up about the tragic death of a woman he almost married. In a post titled "She's Gone," the New Jersey native shared his heart for the first time over the heartbreaking death of Jenny Brown, a dancer and marketing director he fell madly in love with but who died before they could make it to the altar. This Valentine's Day thoughts came crashing back that I had long since kept submerged. It took until now to write about it. 'She's gone' were the words I heard on the telephone that shattered my heart in 1,000 pieces on a Sunday morning in July of 2009. The woman I loved, who I was planning a life with, had been killed in a small plane crash flying home from a dance contest. Her name was Jenny Brown and she was delightful. She was the marketing director for the Fun Bike center in Lakeland, Florida. Unusually bright and bubbly with a 100 smart ideas coming from all different directions. Jenny was petite and cute as a button with the most charming little voice that could switch from business mogul to a little girl in seconds. I can be very pessimistic when I'm down. But Jenny was never down and always knew what to say to bring me up. Sometimes she'd preach, other times she tell crazy stories and then other times she'd say something completely off the wall in that tiny little voice that would shock me back to reality. Then we'd laugh. We'd always laugh. We spent a lot of time at the ocean when I lived in Daytona Beach Florida. We were both very private. She had recently come through a divorce and didn't want to talk about us until she felt enough time had gone by and we had a firm wedding date planned. That was fine with me. But she said she did tell her Doctor : ) Not sure why, but she was unpredictable and funny in that way. I didn't talk about it to anyone until now. I was looking for a ring to surprise her with when I got the news. Maybe there's some of you who knew Jenny out there. If you did you'd know she was a moving burst of sunshine," he reflected. The sudden outburst of emotion came after the death of Carman's fan Teri, a woman he met and prayed with backstage at one of his concerts who was battling cancer and died shortly after they met. "It's taken me eight years to bring myself to say anything about it. It was just too hard," he confessed, speaking about Brown's death. The entertainer didn't end his post there, however. Instead he took the opportunity to encourage people who are grieving to look to God of all their comfort. "Maybe you, too, have been through something similar and want to share it. For those of you with broken hearts just know, you're not alone. God is still the mender of the broken hearted and life, though at times unbearable, really does go on," he concluded. Carmen recently overcame an intense battle with cancer himself and now admittedly cancer free, has stuck to his life goal of "winning souls." For more information about Carmen, visit his Facebook page.